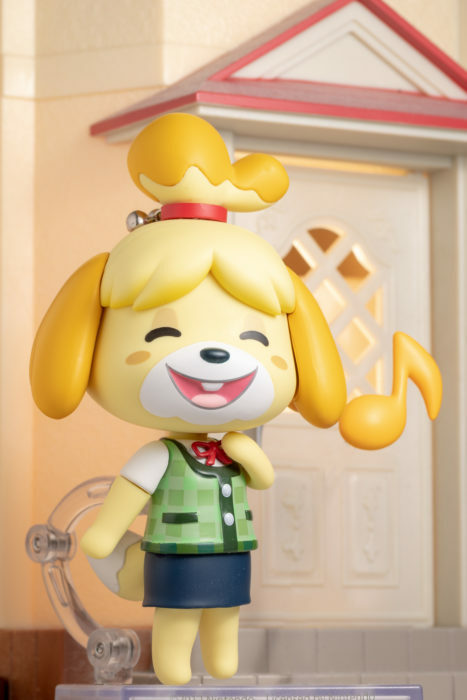 Isabelle (or Shizue as she is known in the Japanese version of the Animal Cross) is cute. She’s damn cute. I mean, Animal Crossing knows a thing or two to make cute character in order to make their chore-simulator game work, but they really hit it out of the park here. 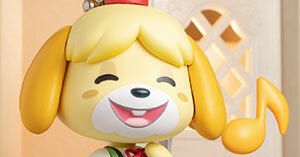 With a pear-shaped face like that, it’s very hard not to feel a twinge when I beat the snot out of her in Smash Ultimate. Winter has traditionally been the season for me to waste money on photo gear and take zero photos. While I managed to avoid buying anything so far, I certainly have not been active in my photo-taking, so here’s an attempt to scrape off a bit of the rust. I had a vase of some very dead flowers on the dinner table. Before I threw them out, the wife suggested taking some figure photos with them, so here it is! 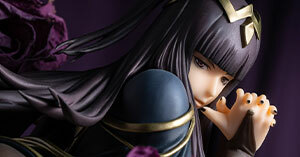 Who better to accompany some gloomy dried-up flowers than Tharja? 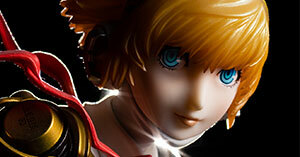 Here’s a shot of Alter’s Aegis with Rembrandt lighting, as well as rim lighting from directly behind the subject. 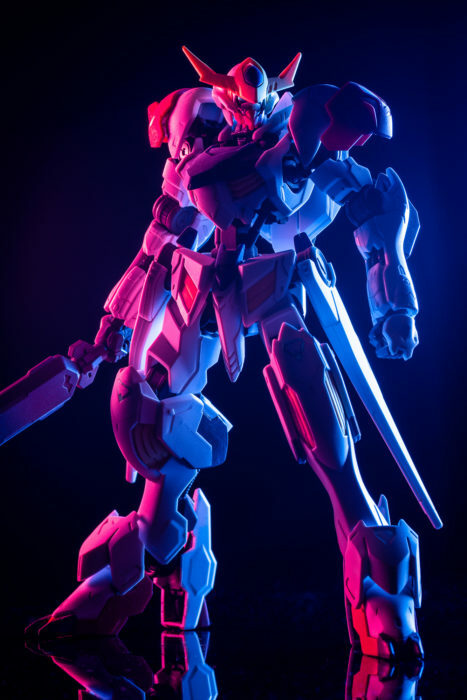 The latter proved to be difficult, because I had to aim the flash gun from 6 feet away, and any small change in angles would ruin the alignment. Rembrandt lighting is a technique name after the Dutch painter of the same name. 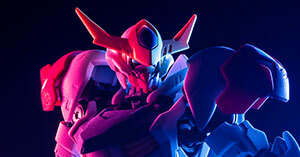 It involves lighting the subject from off to one side at approximately 45 degree angle. This forms pleasing shadows over the face, most noticeably a triangular patch of light on the side furthest from the light. 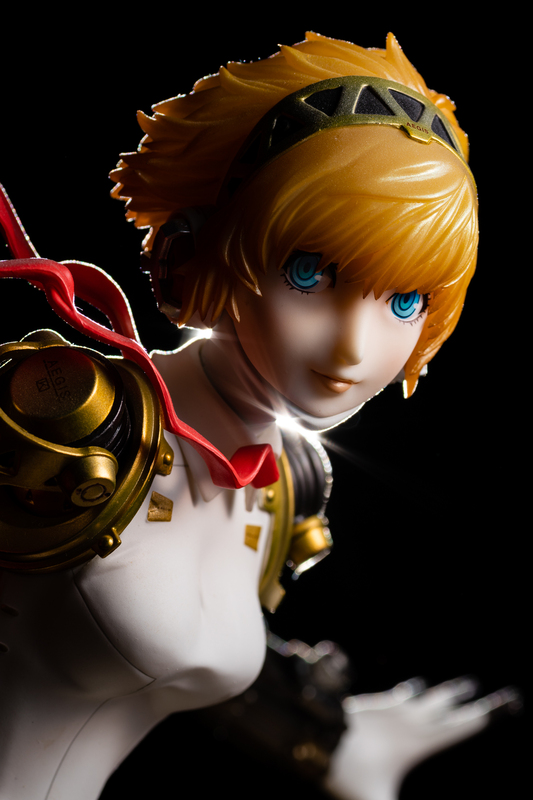 This technique may not work well for all anime figures because many of them lack noses significant enough cast a shadow, but thankfully Aegis does.